When parents decide to divorce or separate, their first concern is "how is this going to affect my children?". Studies shows that the best way to help your children is to ensure they have an ongoing, stable and loving relationship with both of us. This gives kids the best chance of getting through your divorce or separation without too many battle scars. 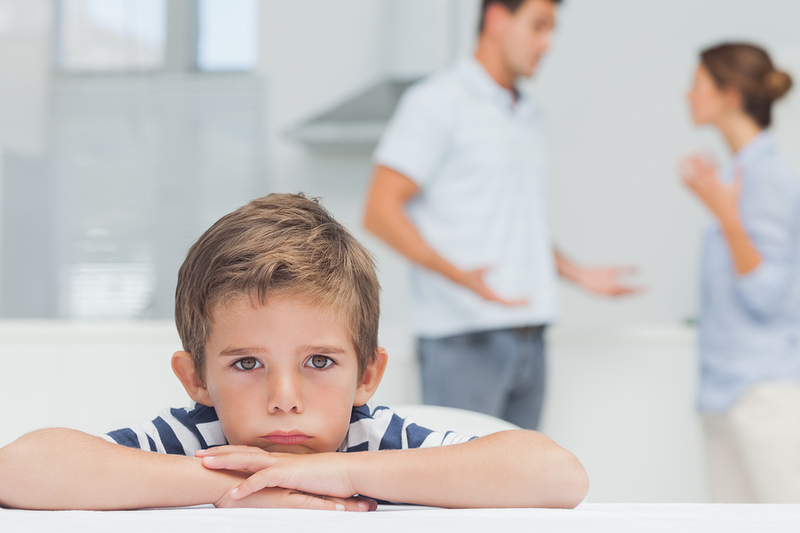 Often children believe that they did something wrong when their parents separate. Or that it's somehow their fault. By presenting a united front for your children, they are not left wondering what they did or feeling like they have to choose between you. Kids need to know that both parents will continue to love them, remain in their life and that the fighting will stop. Co-parenting works best when you're able to maintain a civil, business-like relationship. Cooperation is key. But it is not always easy to transition into this type of relationship. It's important to deal with the fact that even though you are no longer life partners, you will continue to be a parenting partnership until your children are grown up – and beyond. It's important to set the boundaries early. Work at developing a business relationship with your co-parent. One that is focused solely on the needs of your children. Communication should centre on your children and their needs. Always communicate in a professional way (as you would with a colleague). Be polite and keep things child-focused. Try to keep in mind that your goal is to raise healthy, happy children together. This will help keep the peace between you and your co-parent. It also helps to make communication easier and less emotional. After separation, communication is not likely to be easy and will often be uncomfortable. There are many ways you can communicate with your ex without having to meet face-to-face or talk on the phone. It's easier to remain calm and keep your communication focused on your children when you use written communication channels. A scheduling and communication tool such as coparently enables you to be professional. It helps to keep the conversation on track and squarely focused on your kids. When you are able to communicate in a business-like way and to maintain a professional co-parenting relationship, you have a much better chance of reducing conflict and putting your kids first. It's important to treat your co-parenting relationship as a business partnership. Set new boundaries and communicate in the same way you communicate with your colleagues. Always treat your co-parent with respect, be polite, clear and child-centered. Adopt a method of communication that enables you to remain clear, consistent and child-focused. There is no reason for you to discuss your needs or your co-parents needs with each other. This relationship between you is in the past. Communication should always be about your children and their needs. You will inevitably have disagreements with your co-parent that can lead to angry feelings and resentment. It can be hard to move past the strong emotions and hurt that you're feeling. But it's very important never to fight in front of your children. Minor disagreements that you are able to solve amicably can actually be helpful for your children. They get to see how you are able to resolve a problem in a positive way. But if there is an issue that can't be solved in a cooperative way, you need to agree to drop it straight away. You will need find a time to have the conversation when the children aren't around. Or even better, agree to disagree and move on. Focus on making your kids happy. Ongoing conflict between co-parents is very distressing to children. It is one of the most common causes of long-term negative effects of divorce on children. Don't use your child as a messenger. Always communicate directly with your co-parent. It's unfair to put children in this position and they may feel like they have to take sides. It's also highly likely that the children will forget the message or get some of the information mixed up. You are expecting way too much of your children if you ask them to communicate on your behalf. Choose the best way of communicating with each other and stick to it – keep the children out of it. During this difficult time, kids really need to know that you are both actively involved in their lives. They need to feel that you are both interested in what's going on with them. Find a way to communicate on a regular basis. This shows your children that you are both committed to their happiness and are willing to work together for their sake. It also helps to reduce the chances of your children being left somewhere due to a miscommunication about pick up or drop off. Regular communication can be hard to commit to – especially in the early stages of a separation. It can help to use communication channels where you don't actually have to speak to each other. This will help to keep your emotions out of it and give you the chance to really think about what you are saying before you hit send. Clear communication between co-parents means it's much less likely that information gets lost or misunderstood. In turn this means less conflict. It helps to stay on topic and keep the communication brief and to-the-point. Don't wait and bundle up all your requests, concerns and news in one long message. Conversely, don't send lots of messages a day with each and every thing that comes to mind. Commit to communicating a few times a week. All the problems that led to your separation are not relevant to your co-parenting relationship. You need to leave them in the past where they belong. Your only concern from now on should be in relation to your children. And how you are going to raise them and support them together as they grow up. When communicating with your co-parent, it's important to always be civil. Communicate as you would with a colleague. Communicate in the same way you'd like your co-parent to communicate with you. Use civilities such as ‘please' and ‘thank you'. Make requests, not demands. By treating your co-parent with respect and by approaching matters in a cooperative way, you are showing your children that they come first. Be fair in the amount of time you give your co-parent to get back to you. Keep things professional. Your commitment to your children as co-parents is for a long time. Find a way to not react when your co-parent antagonizes you. Don't write all in capitals – it's like shouting. Don't swear. Don't be rude or make derisory comments about your co-parent. Keep your emotions out of it and when things do go wrong, work together to resolve the issue rather than blaming the other parent. And when you are at fault, apologize. Often when you treat your co-parent respectfully, they will treat you the same way. Often we hear what we want to hear or what we expect to hear. Make sure you are listening to what your co-parent is saying. Take the time to try and understand their point of view. Even if you end up disagreeing, you will be able to clearly state what it is that you object to and your co-parent will feel heard. Listening is key to successful communication. In any parenting relationship, there are situations when parents disagree. Find a way to communicate that enables you to work together to find a mutually agreeable resolution. If you cooperate with each other, you will be able to find a solution that you are both happy with. It's also helpful to be as flexible as possible. If your co-parent's birthday is during your parenting time and they want to celebrate with the children, be kind and say yes. Don't make your kids miss out on a special occasion or having fun with the other parent out of spite. Children end up being the biggest losers in this scenario. Also, when you make a request next time, your co-parent is much more likely to say yes. There are many pitfalls with co-parenting communication. Remember to put your children first and always act in their best interests. This way you are much more likely to succeed. You will build a strong co-parenting relationship and your children get to openly love and spend time with both parents without having to choose sides.